The National Council of Churches in the Philippines (NCCP) condemns in the strongest possible terms the continuing harassment and red-tagging of our church leaders, members of the clergy and church workers. 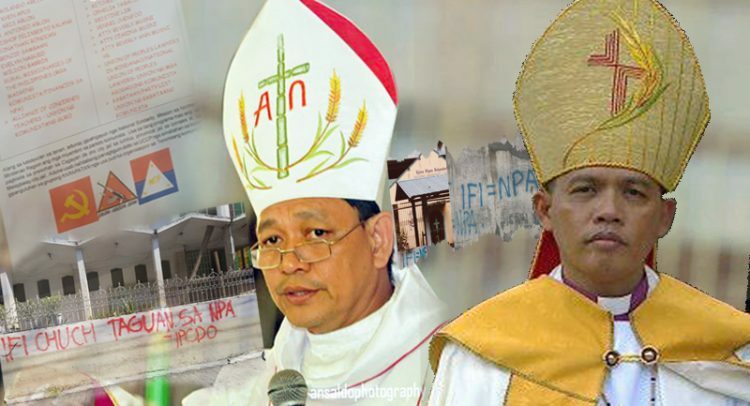 Bishops Felixberto Calang and Antonio Ablon of the Iglesia Filipina Independiente (IFI), who are known peace advocates and human rights defenders, were among the names listed as “terrorist members of the New People’s Army and Communist Party of the Philippines” in two sets of flyers that were anonymously distributed last February 22 in Cagayan de Oro City. The IFI bishops, together with Fr. Christopher Ablon, IFI National Coordinator, Fr. Rolando Abejo of Movement Against Tyranny, and Fr. Khen Apus, spokesperson of Karapatan Northern Mindanao, were among those maliciously tagged in the said list. Also included were other activists, lawyers, and journalist, who are also known for their commitment in championing human rights. Even before this incident, Mr. Aldeem Yanez, a church worker of the IFI and former NCCP Vice Chairperson, was also harassed. According to reports, agents from the National Intelligence Coordinating Agency and Military Intelligence Brigade visited his home asking for personal information. He was monitored for a week by two suspicious persons with motorcycles. Fr. Chris Ablon and several IFI priests also experienced incidents of threat, surveillance and harassment. We deplore these baseless and malicious accusations against church people. Our bishops, priests, pastors and church workers are known for following the Christian imperative to defend the rights and dignity of all persons at all times especially the poor and the marginalized. They have tirelessly worked for human rights, justice and peace. They are also active in supporting the peace talks between the government and National Democratic Front of the Philippines (NDFP). We are deeply concerned about the safety of our bishops, church workers and the names that were implicated in the list. These actual threats and intimidation from suspected military agents have intensified and become blatant as military operations are legitimized through the Martial Law in Mindanao. These threats have become too real and jarring.We see these as deplorable forms of repression, human rights violation, and an act of state terrorism. We call on the Government to stop these vehement attacks “…deal wisely…execute justice and righteousness in the land” (Jeremiah 23:5). We urge our member churches to hold our dear bishops and other church workers in prayer as well as those who have been experiencing such attacks, and continue walking and witnessing with them in the quest for shalom.